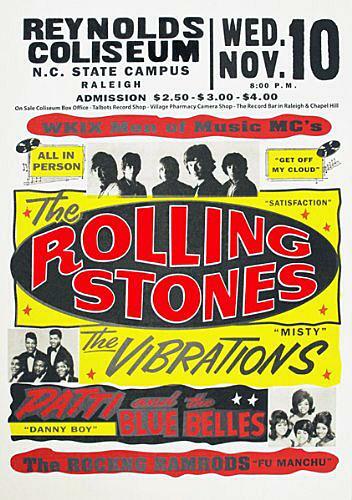 This thread is for live updates and comments regarding The Rolling Stones Raleigh NC USA 1-July-2015 show. Please tell us your pre- and post-show thoughts and comments here. Raleigh NC is on Eastern Standard Time in America. Add 6 hours for Central European time, add 5 hours for UK time and so on. Edited 1 time(s). Last edit at 2015-07-01 17:05 by bv. The wife and I got here yesterday- quite a few people in their Stones wear me included. Can't wait!! Can't wait for the show! Please vote for Far Away Eyes! must be very low IQ situation with the human posting their complete barcode on twitter, yikes..
Maybe you should tweet them and educate them a bit. Thanks for the photos, looks like a nice sized stadium for a show. Downright cozy compared to Arrowhead. WHO IS PERISCOPING TONIGHT? POST YOUR TWITTER NAME NOW TO FOLLOW. I tried periscope for the first time to watch Kansas last saturday on my Laptop, but I didn't get it. Downloaded Chrome for Windows, but periscope doesn't work. Only black periscope Screen and Name of the Person that scopes but nothing else happened. I'm following the US tour on periscope on my Iphone without Problems. I had a similar problem, but it seemed to clear up by itself without any action by me. I assumed it was an issue with periscope itself, perhaps not broadcasting to certain areas or some technical glitch. Anyway I guarantee we will hear about it on this thread if tonight's show has similar problems and hopefully some solutions will be included.. Good Luck! I had similar issues... Make sure you empty all your caches and try a few different browsers..(Firefox worked for me) If at first it doesn't work refreshing also seemed to help. Good luck! Edited 1 time(s). Last edit at 2015-07-01 19:44 by MisterDDDD. I just opened up a Periscope link (not related with the Stones) and it's working fine for me on Chrome. Windows Vista and Firefox have worked every show for me and I ain't changing a thing on this computer until the tour is over. I'm scared to even turn it off. Thanks! I tried to narrow down the results because most of them were outdated by several days. There's an advanced search mask where you can limit the date. But somehow that doesn't work or brings not the needed results. Any tips anybody? Follow this thread and look for the links.. You can't miss the best scopers since they are typically getting more praise and adoration than the Stones. No doubt well deserved praise and the links are invaluable but personally I prefer discussions about the show and performance during the show. Plenty of time to nominate ScoperXXX for President when the show is done, imho. sadly I can't follow this thread tonight, have to work but I'll try your advices in the next days, maybe it works for Indianapolis? True! During the last gigs I was able to find some decent scoper and link him/her here, too. But somehow, most of the others here find them easier, I think. That's what I was looking for. This is a really cool t-shirt! 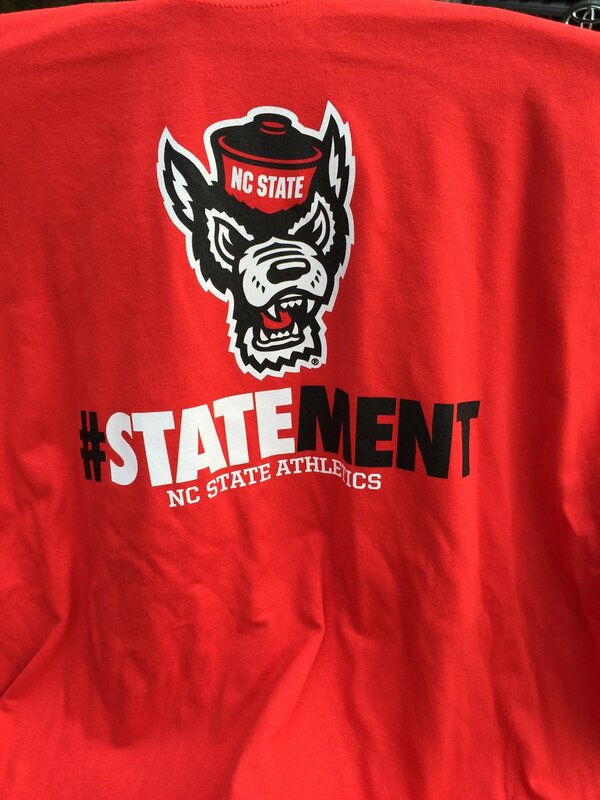 This logo refers btw to the NC State Wolfpack athletic teams representing the North Carolina State University - but 'Indy Week' claims that the Stones forgot somehow to get NC State's permission to use the Wolfpack logo: [www.indyweek.com] . Edited 1 time(s). Last edit at 2015-07-02 00:20 by Irix. I am going on a run, hopefully when i get back there will be some news from sound check! 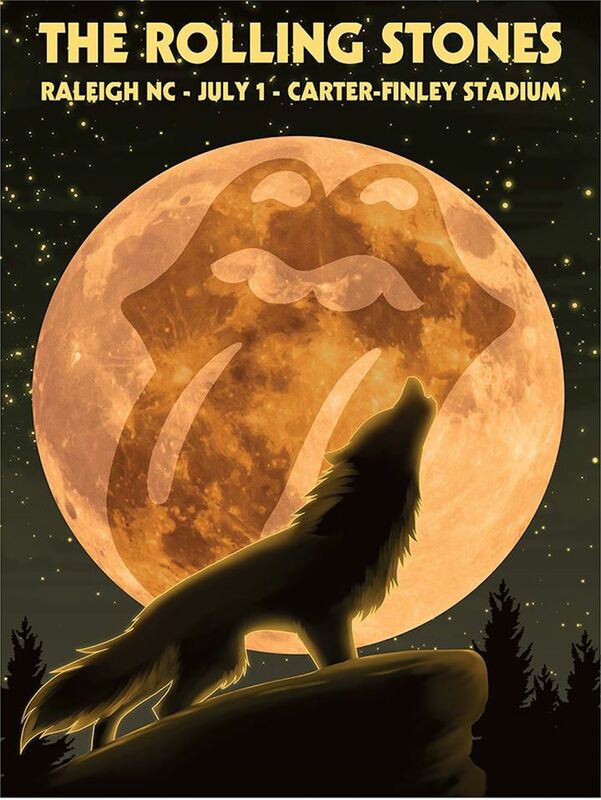 but 'Indy Week' claims that the Stones forgot somehow to get NC State's permission to use the Wolfpack logo: [www.indyweek.com] . If you look closely the logo isn't the same, just an approximation. 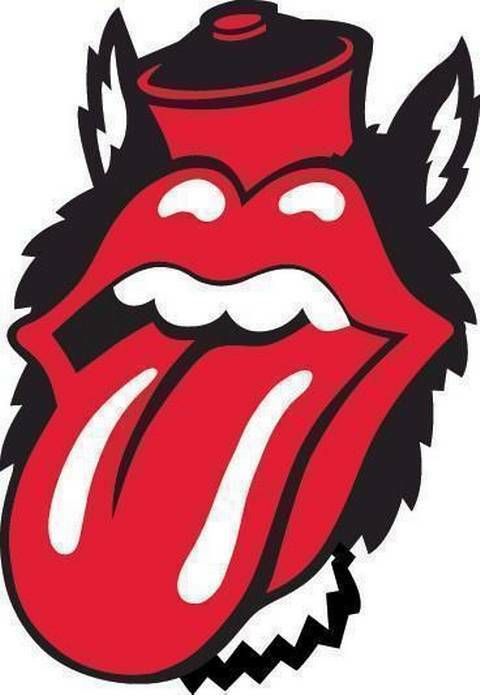 I can't imagine the Stones aren't aware of trademarked logos with all the stuff they have been copying this tour. i think you're quite right on that! - if you get a message saying you need to update Adobe, do that and then restart your computer. - clear your browser's cache.